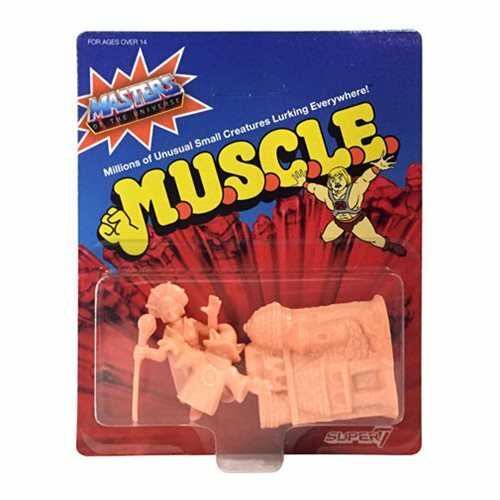 The classic rubber mini-figures return with Masters of the Universe M.U.S.C.L.E. figure! Each measure 1 3/4-inches tall and are packaged in a blister card. Ages 14 and up.